Smartwatches are a neat little gizmo but are very often dependent on the smartphone that they pair with. Very few wearables out there have a SIM card slot and can be an autonomous communications device on their own, freeing you from a lumpy smartphone when out on a jogging session or hitting the gym. Shell is a startup that wishes to change that. 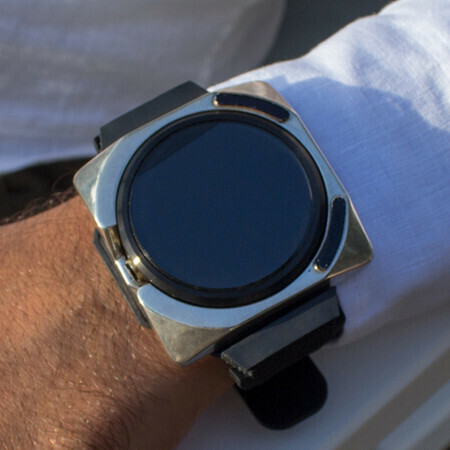 The flagship product — due to start Indiegogo funding near the end of January — is the Shell independent smartwatch. It's a rather bulky timepiece that holds expandable “wings”. Stretch them out and they will act as antennas and microphone / earpiece combo. It even has a camera on one of them! It comes in two variations — round-shaped or square-shaped, with the latter being considered as the more rugged edition. The company acknowledges that users out there might love the idea of the invention, but not want to part with their current favorite smartwatch. Which is why Shell will be selling separate Shell adapters that give you the expandable “wings” to transform your own timepiece into a phone. It will cover a variety of popular timepieces — the Apple Watch, Moto 360 line, Samsung's Gears, the Huawei Watches, and LG's own Watch line. Interesting idea, but it looks very clunky on most regular size wrists. Or just get a Gear S (original) and find a way to run a smartphone version of Android on it, and you'd have just that. The screen would still be small. What I was thinking was, when folded, OS interface would switch to watch mode and, when unfolded, into a phone interface mode.